admin can declare/ edit result of a student. Student can search their result using valid rollid. Student can download the result in the PDF format. 1. Download and Unzip file on your local system copy srms folder. Hello sir, thanks for the free source code. Download link given above. Please like any social media link for unlock download link. manage-result.php is same as manage-student.php is it updated if yes plzz share the file at harikesh.thakare.74@gmail.com Thank you!!! thanks you All right now !!!! Could you plz send the project code to sarwar10el20@gmail.com. I’m unable to download the file even I like the fb page. Hello Mr. Anuj Kumar. 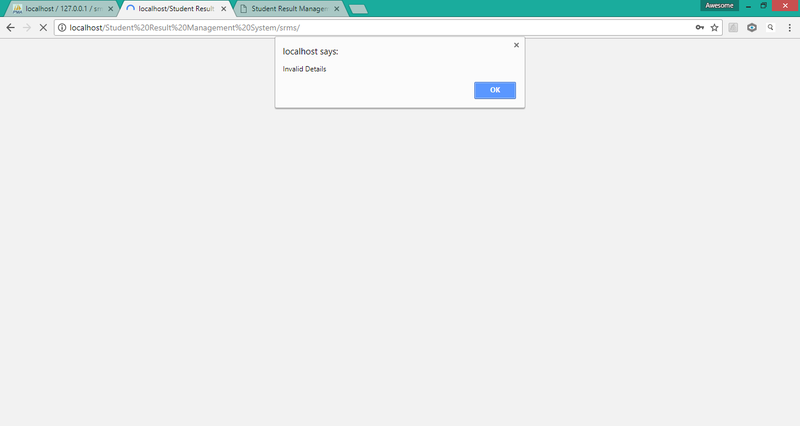 I love the Student Result Management system, very simple and good….I guess this configurations here has tp do with only localhost, (offline version) using xammp or any other local server. what about online configurations., here is my email address: goldnwbi@gmail.com. can we talk more? sir i liked your facebook page but i am not able to unlock the link a little help here. Hello Mr. Kumar. We really appreciate the project, but perhaps you can help us further by uploading a video of the process for hosting the project on the web server. if anyone wants project report for this project you can contact me at chandankumarrana1898@gmail.com. How to upload bulk student details / result using excel!? if vedio of implementation was put it would be better …. Hye bro ! Have you successfully run this project ? 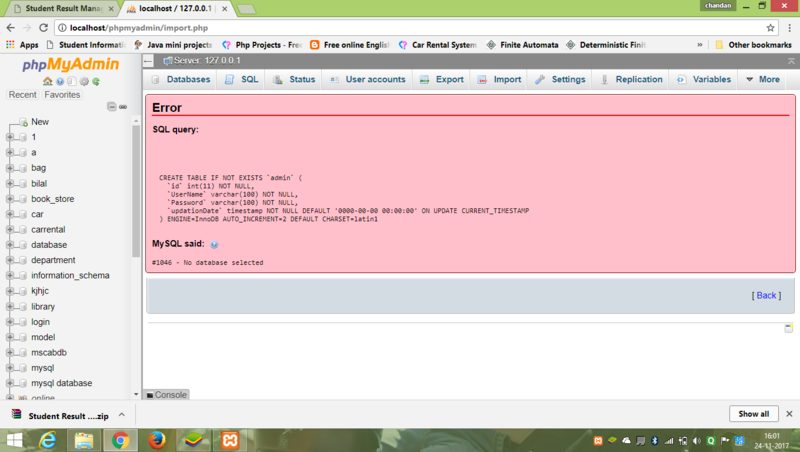 If yes then please send me the code because i got error while uploading the database . Help me please .